But T-Mobile and AT&T have launched RCS messaging, right? Yes. But their versions don't work with Google's (Sprint's) RCS. And AT&T's RCS messaging doesn't work with T-Mobile's, and vice versa. And there's no indication that this will change any time soon. While both T-Mobile and AT&T have signed on to the GSMA's soon-to-be-published intercompatible RCS messaging standard, carriers seem much more interested in making "advanced messaging" a carrier feature rather than the universal SMS replacement it was developed to be. "Come to AT&T, our Advanced Messaging(TM) offers features others don't!" (read: "Don't leave AT&T or you'll lose the unique features we've built into our messaging client that don't work on other carriers"). Verizon, for its part, hasn't even committed to using RCS at all (update: it is apparently a signatory on the GSMA Network2020 Universal RCS Profile, but AT&T weirdly isn't) - the carrier has its own proprietary messaging platform not based on RCS, and that doesn't work with any other services. And so we have competing strategies. Google would prefer everyone just support its RCS client, based on the GSMA's universal profile, and allow users on any carrier to utilize its features, and carriers like AT&T and T-Mobile would rather see the development of a negotiated "universal profile" that allows cross-compatibility of core features, but not necessarily for all features, just the ones the carriers can agree are important enough to need, but not that they'd maybe like to keep to themselves as "value-add" incentives for their subscribers to stay on the network. So, you could (and likely will) end up with a basic, universal RCS profile, but there's a very real possibility that business interests will gimp that universal profile with a more limited feature set. And let's not forget: the US's largest smartphone manufacturer by sales, Apple, has absolutely no reason to adopt RCS ever. RCS is also hobbled on carriers by limited device support. Right now, a smartphone specifically must support the carrier's advanced messaging features to work, and that means support is explicitly limited to devices branded by those carriers. As far as I can tell, only Samsung and LG phones - and only a subset of those - support advanced messaging on T-Mobile and AT&T (T-Mobile doesn't publish a list). 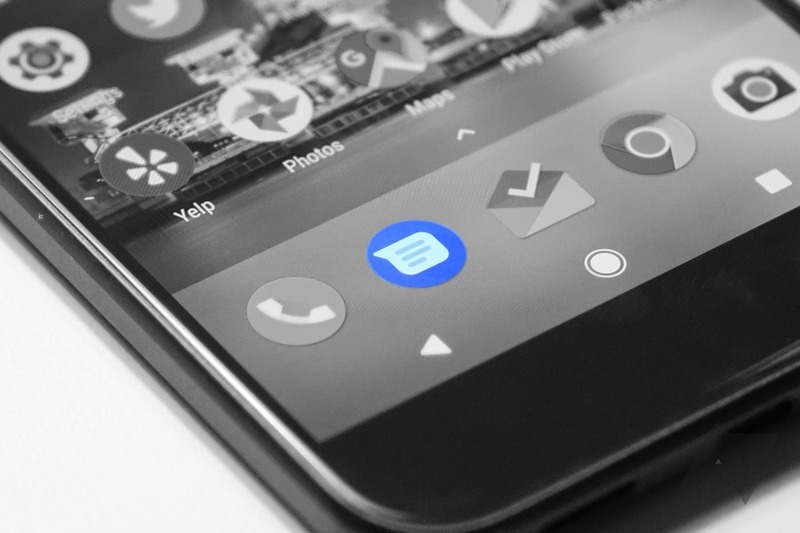 Carriers really are just getting their feet wet with RCS messaging right now, and it doesn't seem they're in a rush to make interoperability a prime directive, even if the GSMA wants them to. So, while today's news that Sprint is adopting Google's "universal" RCS client is certainly a step in the right direction, fickle carriers in the US have every reason to make this an uphill battle for Google's standard. RCS isn't a clear panacea for our messaging woes, and if there's money to be made on RCS - and more specifically by hoarding some of its capabilities as "carrier exclusives" - you can be sure the likes of Verizon and AT&T are very carefully considering their next moves, not jumping to open the Pandora's box of democratizing it. For now, we'll have to wait and see what happens with RCS. And we could be waiting a good, long while.